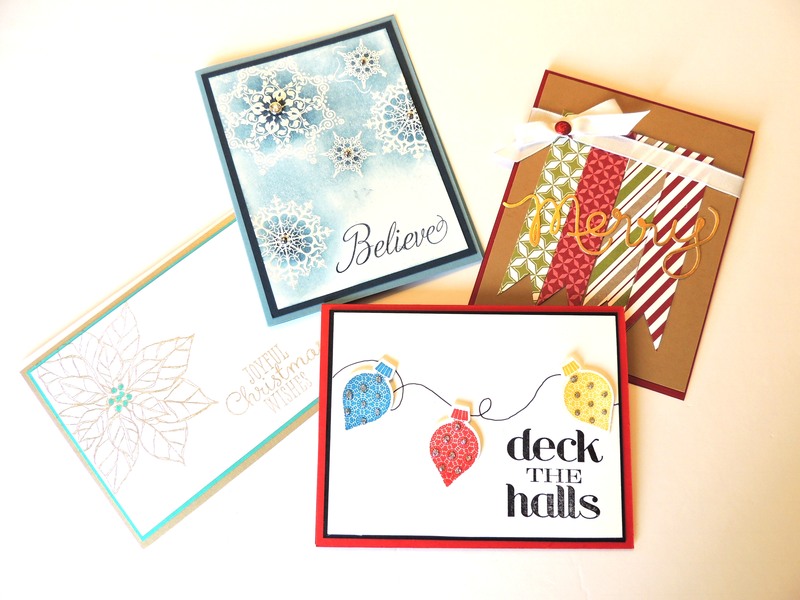 Christmas Cheer…handmade Christmas Cards are always a treat to receive. I used to make them every year for my family, but over the last few years, more like 5, I had lost my desire to spend time making cards at Christmas. I love receiving hand made cards and will often buy cards made by others as I value the work they have done and love the special and unique touch they add to each card. A week or so ago I was invited to a card making party and I have to say that it was fantastic. The teacher was very creative and great at teaching us all these lovely designs. I really enjoyed making the Christmas Cards and the variety was a wonderful touch. I definitely suggest trying out making Christmas Cards, or a Christmas Craft. It is one of my favourite times of the year. Perhaps a knitted Christmas Card would be something to try! Hmmm, gives me some inspiration on a few Christmas Crafts. I am off to try some of them out…let me know what you make for Christmas!